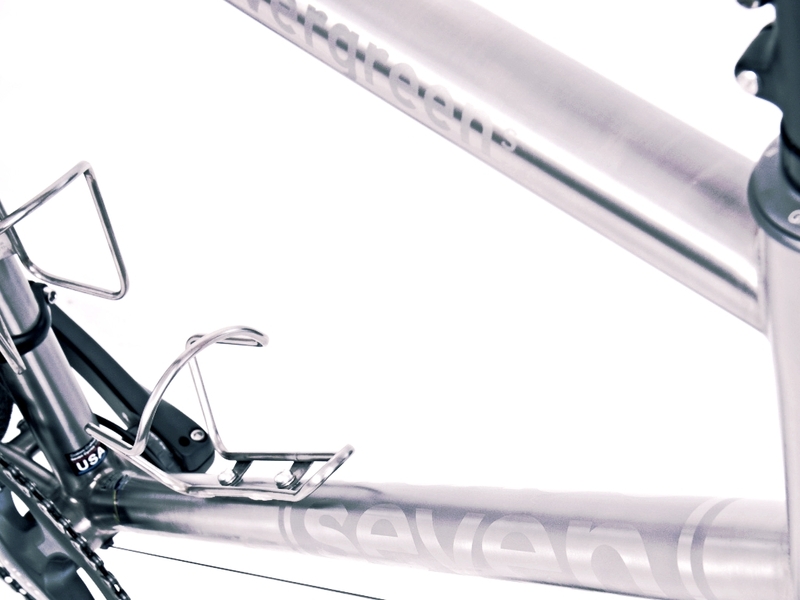 As you probably know, Seven can bead-blast logos on the frame, a subtle and classy effect. 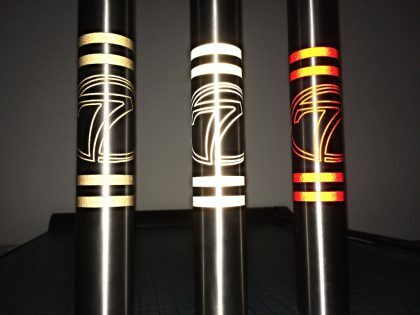 They can also blast a panel scheme And, we can affix Chris King color-matched decals (below) to go along with colourful headsets, bottom brackets and hubs. 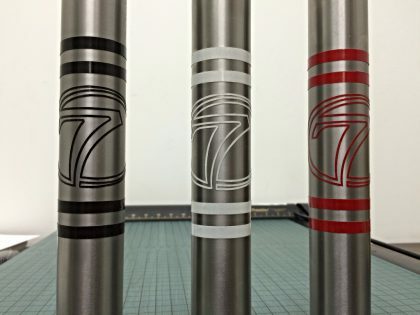 2018 season Seven have also introduced mirror-polish decals as part of their raw metal finish offerings - this option highlights the beauty of titanium with three different textures. First there is our standard high, hand-polish. Next is the satin, bead-blasted panel, and then finally you have the ultra-polished logo. 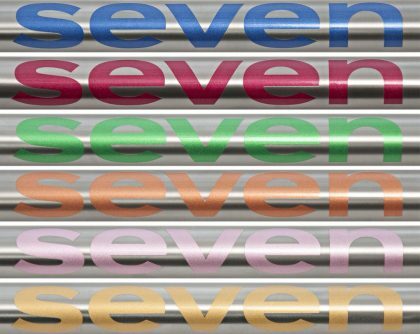 Finally, Seven offer reflective vinyl decals in an array of colours and layouts. Hearty vinyl impregnated with metal flake looks like a modern, matte finish decal in daylight, but at night, in the beam of a headlight or streetlamp, it glows. 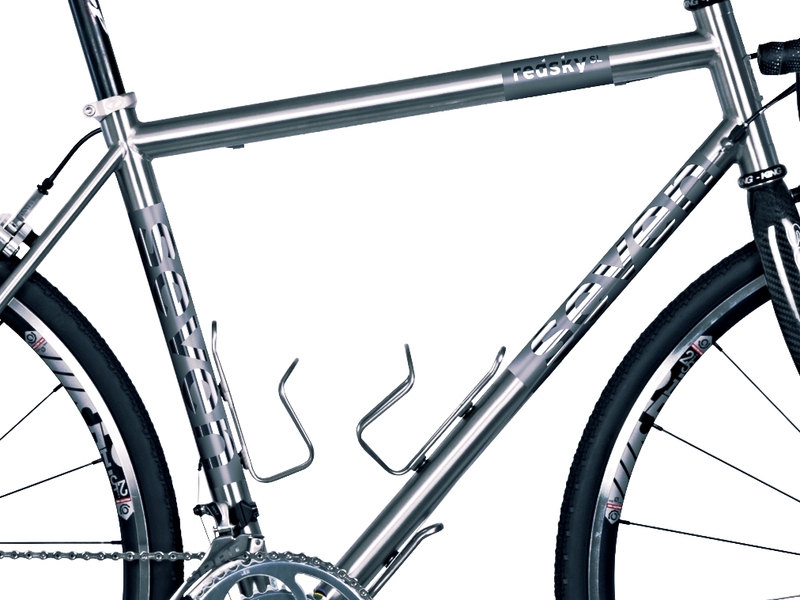 This finish starts at £200, with upgraded and custom designs available.